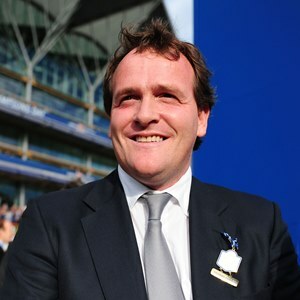 Richard Hannon is one of the six children of the four-time British champion trainer, Richard Hannon senior, and he took over the licence from his father at the start of 2014. He is married to Jemima and they have a daughter, Eliza, born in January 2012. He had been working as assistant to his father for almost a decade and is credited by his father as bringing a lot of new owners, most notably Sheikh Joaan bin Hamad Al Thani. Hannon Sr began training in 1970 and saddled the winners of four British Classics. The Hannon stable has broken the 100-winner barrier for each of the last 16 seasons and enjoyed a spectacular 2013 campaign with the crack three-years-olds, Sky Lantern, Toronado and Olympic Glory, as its standard bearers. Hannon began 2014 with 279 horses, a record for the stable. Night Of Thunder was the star of the show, winning the QIPCO 2000 Guineas in the hands of Kieren Fallon 40-1. It did not stop there as he won the second Mile race, the JLT Lockinge Stakes at Newbury, with the very impressive Olympic Glory. He then won the third Mile race, the Queen Anne Stakes, with Toronado and saddled the runner-up in the fourth Mile race, the St James’s Palace Stakes with Night Of Thunder. Next Toronado ran into Kingman and could not retain his QIPCO Sussex Stakes crown, finishing second by a length. Hannon began the 2015 QIPCO British Champions Series with a brace of third-placed finishes in both the 1000 & 2000 Guineas with Tiggy Wiggy and Ivawood. He then enjoyed a superb 1-2 in the Al Shaqab Lockinge Stakes with Night Of Thunder and Toormore, before springing a surprise win in the Investec Coronation Cup with Pether’s Moon. In 2017 he has a new star in the Mile Division with Barney Roy. The colt as runner-up in the QIPCO 2000 Guineas on only his third start and then went one better in the St James’s Palace Stakes at Royal Ascot. And in 2018 he was all smiles after Billesdon Brook stunned her rivals with a 66-1 success in the QIPCO 1000 Guineas.